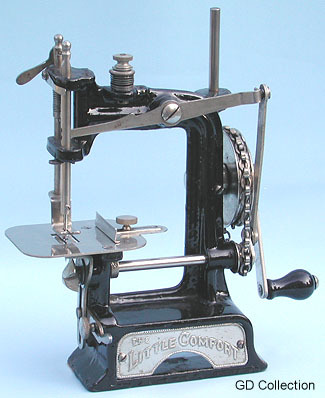 Miniature sewing machine - Smith & Egge Little Comfort. The photo shows one of several variants of this well known early 20th century miniature, produced by Smith & Egge, USA. The chain pulley gave an improved drive ratio as compared with the standard crank version.